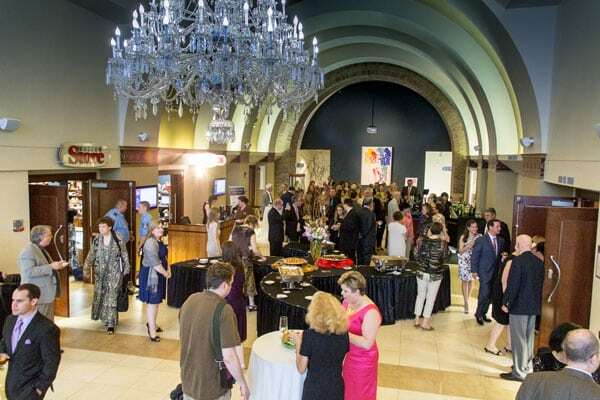 The National Czech & Slovak Museum & Library is the perfect venue for your next event. 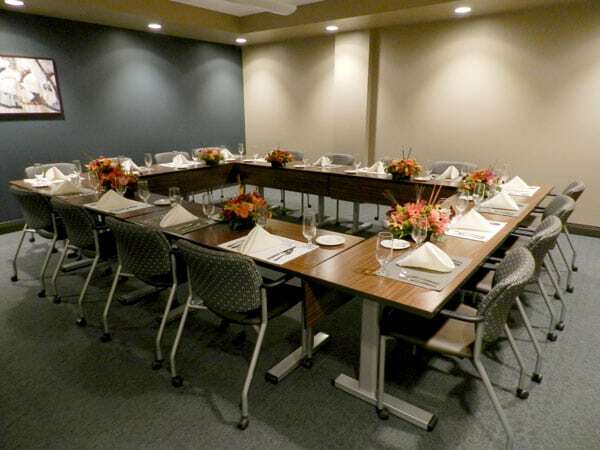 Whether you are looking for an event space for a company meeting, smaller meeting facilities for a cocktail reception, or a wedding venue, our unique rental space can be customized to fit your needs. Whatever the occasion, we can assist in making it spectacular! The National Czech & Slovak Museum & Library is the premier space rental option in Cedar Rapids, IA. 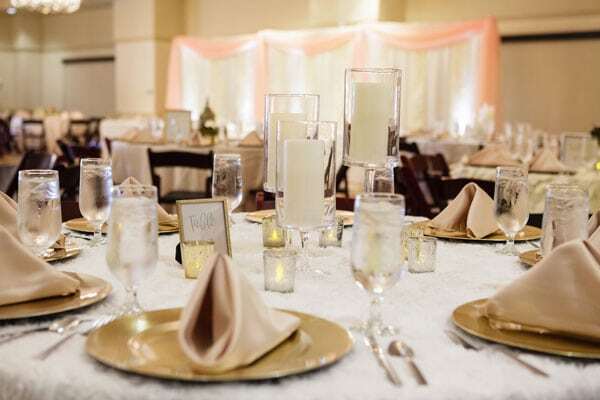 *NCSML has a list of preferred caterers that are permitted in our facility that we selected for their quality, service and knowledge of the NCSML’s policies. No exceptions will be allowed. Lessee must hire a caterer directly off this list. The decor is art nouveau inspired and holds up to 200 seated at round tables or 240 seated in theater style rows. 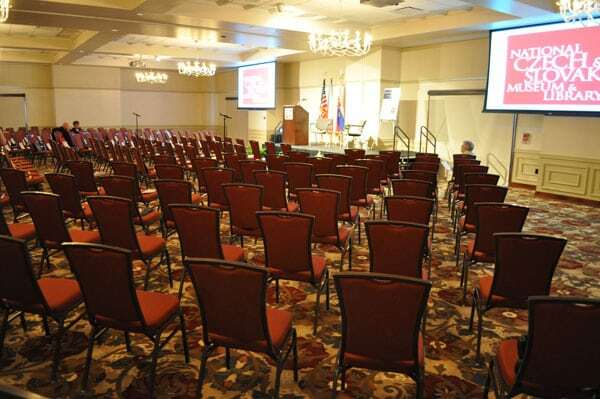 The hall has state-of-the-art audiovisual equipment and internet access. It can be divided into two rooms–Hruska or Mitvalsky. 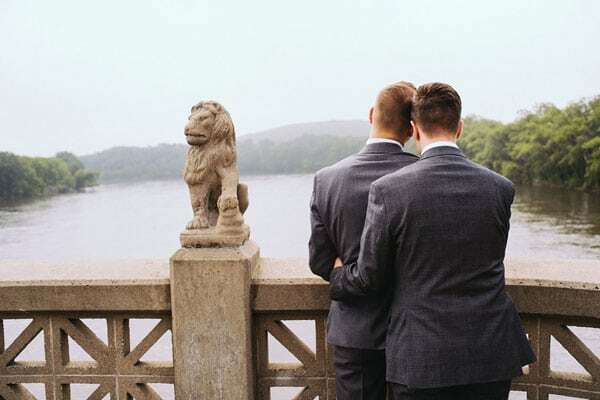 The Terrace has a wonderful view of the Cedar River and Museum garden area–ideal for cocktail receptions. Two outdoor tent areas can be rented and can each accommodate a tent up to 60 ft X 100 ft. 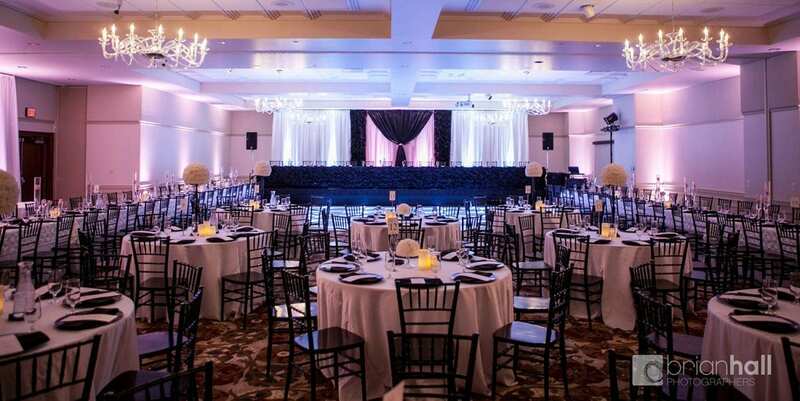 This space can accommodate 100 people seated at round tables or 180 seated in theater style rows, with views of our elegant chandelier and high ceilings. 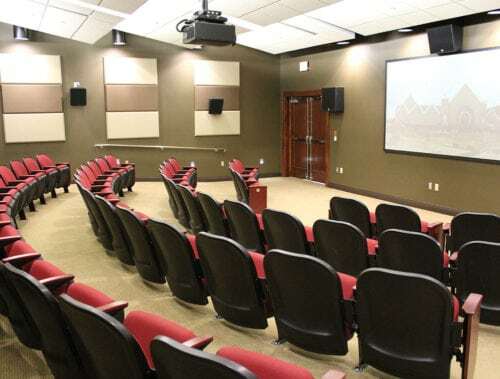 The Theater has 51 permanently affixed seats (plus room for wheelchairs)–ideal for presentations and film screenings. The Czech Museum was amazing to work with! And, it is hands down the best place to host company events. They responded quickly to every need and bent over backwards to create the perfect environment for all our employees. It made our Manager Training so much more enjoyable and planning was a breeze with the awesome museum staff! Thank you!! We had our wedding at the museum this past September and it was amazing! The staff was so friendly and great to work with, they were very accommodating to us… The staff was so organized and efficient that it really made our day go very smoothly. We had so many compliments on our venue, on how unique and pretty it was. 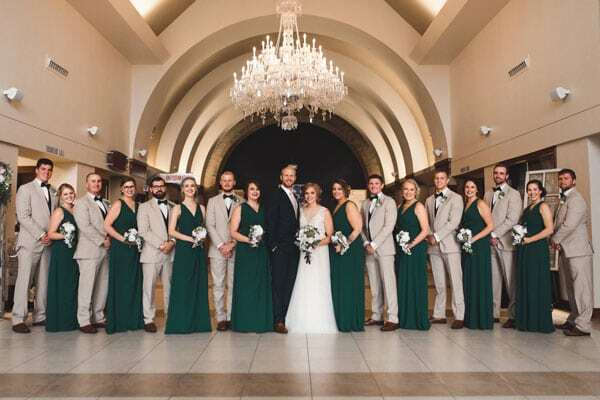 I just love our ceremony pictures from the grand hall, the backdrop is stunning. Would recommend the museum to anyone with a special event! 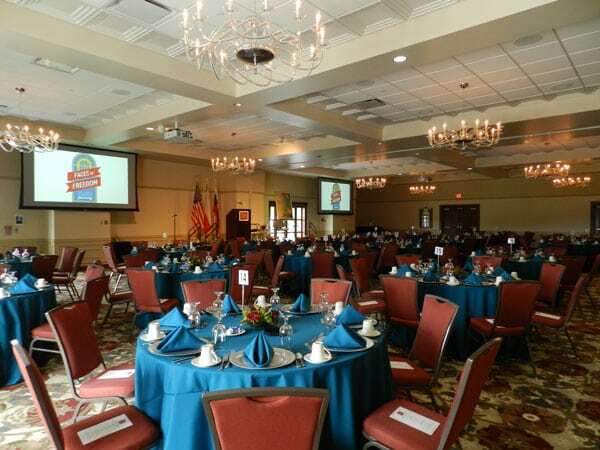 Our company decided to host an employee luncheon at the National Czech & Slovak Museum. What a beautiful venue! The event went smoothly thanks to the help of the wonderful staff. They made planning easy and were very accommodating. We’ll be back!